Sri Ramachandra Murthy August 6, 2018 10:00 IST Dhoni enjoys in Nellai! Indian cricketer Mahendra Singh Dhoni had been to a falls in Tirunelveli, and showered and participated in trekking, and enjoyed a great day. 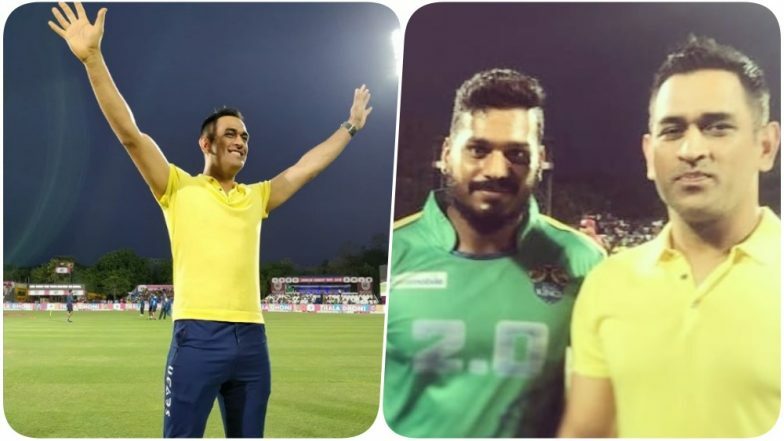 The Tamilnadu premier league TNPL cricket match between Madurai and Coimbatore has been scheduled today, and Dhoni had been invited for the match. He will be spinning the coin for the toss of this match and arrived at the airport for the match yesterday. Later he had been to the Gundaru area and stayed at a private resort. After a while, he had been for trekking with security guards, following which he went to Sami falls at a distance of 1 km. Dhoni had a great day there, and fans and the general public were ecstatic seeing a glimpse of their favorite cricketer and took photos of him. Dhoni's photos at Tirunelveli are getting viral, and today Dhoni will also be visiting the India cements plant at Thazhaiyoothu in Tirunelveli.